Samepage is a collaboration platform connecting teams with content and conversations. "Easy, flexible, and powerful across mobile and desktop"
It can handle whatever file you throw at it, and the seamless messaging across all devices really makes life easier. Video is high quality and easy -- no logins because you're already logged in. Customer service is responsive (and rarely needed), and they are always adding new capabilities. It's a great value for a lot of integrated tools. The pages can get a little messy if you're not deliberate -- but I mentioned that and they said they have a layout fix in development. It works, it keeps improving, and they're nice. Messaging that is appropriately private for attorneys to use, easy enough that anybody actually *wants* to use it, tied to the documents we need to review, all across mobile and desktop, is not easy to find. Samepage provides that, plus easy video conferencing, without being explosively expensive. 1)The simplicity of the user interface - we're able to have new team members and clients up and running in 5 minutes. 5 MINUTES! 2) The power of its features - we've been able to get rid of other SaaS apps and streamline our processes and software costs in half. 3) We can customize our workspace to suit each client's unique processes and needs, while still managing projects and teams effectively. The inability to: 1) drag and drop documents into folders; folders into folders - cutting and pasting whole pages is time-consuming. 2) quickly clear all notifications with one click, 3) (re)organize teams as desired, 4) see all tasks by assignee and sort by creation date, due date, team, etc. 5) customize team avatars. But these are minor and are being addressed in upcoming versions as far as I know. Start with a pilot and then expand. That way you'll understand how you want to approach it. Because it's so flexible, it's easy to get seduced and build all kinds of things that later on you discover you don't need. With a pilot, you're biting off just enough to gauge what and how much you need and when. Start small, then expand. You'll be happier. The ability to easily collaborate in real time with our clients, so we can create and execute digital marketing plans to grow their business. Improved productivity, more effective outcomes for our clients, and reduced costs. Unlike many project management platforms, this prvides 'Pages' for repository of information related to the Team, sub team or Project. It doesnt disappear when a task is completed. Tasks are embedded on pages and the sequence and order can be moved around to prioritise. Its very flexible. Secondly, I like the containment of chats. Its like a forum for each project or team. It avoids having everyone else in your organisation recieving project specific chats and collaboration when its just not relavent. Yet there is still the very usefull 'Everyone' Team and Chat group. Clear layout and design. I love the fact that you can add all maner of detail to a Page, links to files, inserted files, pictures, tasks, text etc. Fantastic. Nicely defined user access policies, per team, sub Team etc, with external team-member options. Excellent support via email, chat, Skype, video conferencing. And they are pro-active and knowledgeable. We are NOT in the USA, we are in Asia with 8 hours time difference, and that has not impeded getting help. I would like to see it available with OFFLINE capability so we can still work without a data feed or internet connection. Work and correspondence could update on first re-connect. I would like to see a few more video tutorials. The ones they have are excellent, keep building the library folk. Try it, try it again. It takes a little playing to work out how it best suits you, but rather than making work-arounds with other platforms, they have some really neat ideas inthis product. Multi team, very mobile workforce, we are pretty much all global airline pilots working on multiple projects. Consistency and collaboration are vital. I think my favorite aspect is the task completion feature. It's so helpful for me to create tasks and update the status (25% complete, 50% complete, etc). It really helps keep everything sorted in my sometimes frazzled brain! I also love that i can assign tasks to others and see their progress/vice versa. I'm a very visual person, and Samepage is a very visual platform. I find it helps me organize and stay on top of communication very well. Honestly the only thing I dislike isn't really the website's fault! I wish that I could get more coworkers on Samepage. I think there's just a lack of knowledge that it exists! I work on projects with various groups of people at the same time, and with varying class/work schedules, it can be extremely difficult to stay up to date on everything with everyone. Samepage allows me to monitor progress instead of just having to wait on a "confirmation" email. Before I came across this tool, it was almost impossible to enforce a deadline, because communication among everyone involved was so unorganized. "Finally found the perfect mix"
I love how easy it is to keep track of everything in one place. I love how easy it is to invite people to join the team and share all or parts of your project. Each project can have its own calendar which will combine into a master calendar. It takes a bit of use before you fully understand how to organize thins and what the layout is. Leave a day or two for trial and error. I have multiple clients and several projects to keep track of. This helps me stay organized and complete projects without missing a deadline. I like the ability to upload and download files from a central location. The multiple users allows for collaboration on projects. This ultimately results in a great tool for multiple people to share information and work on the same project. The service is not as user friendly or intuitive as I would like it to be. Some users whom are less technologically savvy tend to get lost navigating between links, pages, etc. There are instances where an item is uploaded and then it takes a while to find out where it was sent to or placed. I suggest having a single user be the "master" user where they organize all files and documents in a way that makes sense to the general population of users. Everyone can upload documents to a general location but the master user will move them to designated spots. This reduces confusion as to where to upload or access items as there is just one individual doing it and it follows a consistent organizational pattern. There is always a need for external storage of information so that multiple users can have access to it and add/manipulate. Samepage is providing this service so that we can accomplish our projects better. "Great place to share documents and ideas with team members and other teams"
Ease of use, simplicity in adding a new content. I like nice design and great mobile experience. I love the app for iPhone. 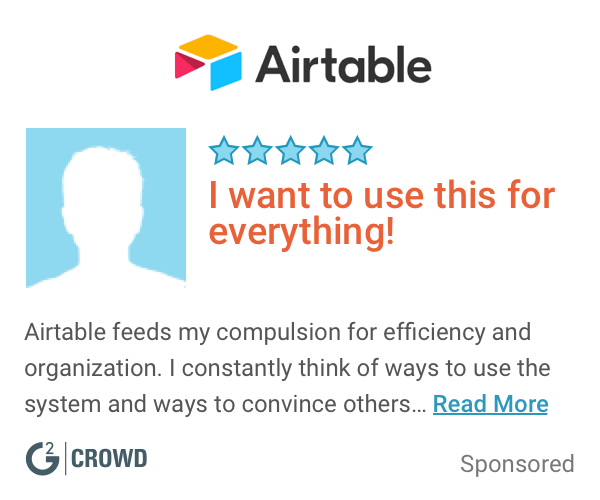 I appreciate how easy users can communicate and comment on all content. It completely replace our email communication for all work-related stuff. File library is a great tool for synchronizing files with my computer. Samepage includes a document preview capability to instantly view content of standard documents, Powerpoint presentation and even Excel tables. With Samepage client all documents can be directly edited on my Mac in Microsoft Office and updated version is automatically uploaded back to the server. Ability to assign access rights for each page makes it a great tool for storing even sensitive data with restricted visibility. I created and use sever other organizations for private use. Samepage allows me to share my account for both work and private use. I suppose the biggest issue is when you become heavy Samepage user and create a hundreds of pages it is not easy to keep track of all pages and content. User comments and News feed feature help a lot but it requires user to make a comment about every change they make. Definitely worth a try. It eliminated all problems we had with email communication and document sharing. We even use it as public interface for fast and easy publishing of information to our customers. Sharing documents and texts within the team and with other teams in a company. Samepage became an essential tool for our software development process. It helps with cooperation between all teams in a company and also for publishing nicely-formatted pages to the public. Con Samepage me e sentido muy a gusto a la hora de llevar el seguimiento a nuestros proyectos como equipo. Antes usábamos Trello, pero no se adaptaba a nuestras necesidades, buscando por Internet conseguí esta fantástica herramienta, que me a resultado de gran utilidad, muy fluida y adaptable. Y también es muy moderno, me gustaría que tuviera mas integración con la redes sociales, y de esa manera poder también enviar notificaciones por ese medio, y si tuviera Twitter seria estupendo. Es difícil decir lo que no me gusta, pues me ayudado mucho esta plataforma, pero a veces e tenido problemas de visualización con documentos de Office que no muestran tal como son, creo que no tiene, o no veo lo que tiene que ver con las Menciones, a la hora de hablar directamente con una persona. El chat no tiene emoticones, no hay vídeo llamadas. Creo que eso es todo. Que lo prueben, no los decepcionara, le ayudara mucho a seguir progresando en esta era tecnológica de tanto avance, Samepage puede ser su aliado a seguir triunfando, subiendo peldaño a peldaño hacia el éxito. Ventajas muchas, ya que puedo planificar diferentes tareas individuales para mis compañeros de equipo. Y así de esa manera todo marche de una forma mas fluida, y todo este listo a la fecha fijada. Por ahora estoy robando la app en modo gratuito para ver si me sirve o no, mas adelante veré si funciona, y amplié mi cuenta. "The Only Software I Stuck With!!" I am a freelance designer, my projects involve my contractors as well as my clients. What I like best about same page is the simple to use structure - i create project pages that I KNOW my clients will abe able to use right of the batt. The interface is sooo simple to use , clients don't have to learn anything, they can post any kind of information for me and they can easily see files and images. Its particularly useful for brainstorming ideas. Other people will only se the folder you allocate them to. I also use same page to organise my personal life - i share a folder with my husband and he posts reminders for me . I can send a quick message to my clients once i have done this to let them know and samepage will alert them via text and email. It doesn't require anything complicated from my project partners and this is the key - I've tried many other team based software but its too complicated - the proof is that over the past year my clients and I are still collaborating using same page rather than over email. See my review - highly recommended.! My samepage acts like a dashboard for my whole life - I have to do a lot of juggling different clients and jobs over the course of a day so by going into each folder it helps me focus and not get overwhelmed. .
Having a tight integration of the key "pieces" to share data among your team, couldn't be easier. There's almost no learning curve and you feel like you've been working with it for years! A fast an easy way to have all the files you need to share. Photos are seen inmediatly, no waiting. Tasks are asign easily, and easy to follow. It's great to see everyone's comments, specially if you weren't able to attend the meeting. It's easy to arrange and redistribute the content within the website, just drag! Mobile version is excellent to keep track of tasks, asign meetings or uploading docs on the go. With everyone working in the same page, there's no way someone didn't see the current update of the project, or missed a file to be included. Everything is right there. If you like Dropbox, you can use it here or Samepage's sync tool. There is no way to make use of a personal photo or graphic to change the appearance. It would be very nice to have themed view of Samepage. If you are looking for a great tool to keep your teamwork always in comunication, this is a MUST try app. For our magazine, it has been the best tool and we work with it everyday. We can access thru a PC, phone or tablet. We can work truly everywhere! We don't have to invest in top equipment or new software. SamePage is a great platform to use for those working in a virtual environment. It allows you to collaborate projects, tasks, and share files seamlessly with other team members, while having communication features in real-time so that you don't miss important messages or deadlines. I prefer to use SamePage over e-mail since I do not have to worry about my inbox getting cluttered; I can track important timelines to getting projects completed within set deadlines; I can update project's status in real-time; upload and share files seamlessly; communicate to team members directly; and manage workload and files more effectively. SamePage is a great productivity tool. If I had to mention what I dislike, it would probably be the calendar and add an event feature. This feature is unattractive to me because of the layout or steps required to create a new event. Perhaps it's just the tools and features layout/design. I avoid using this though.. I provide virtual services to clients and I find that the workflow is much more organized, seamless and effective using SamePage. It is a much better resource than communicating via email, using multiple platforms like Dropbox or Google drive for cloud storage and file sharing. Makes my job much easier and allows client transparency. "SamePage For Veterans with Disabilities in Higher Education"
The communication tools are really nice. We have 73 members in our group and they are from all over the country. All members are from a professional organization called AHEAD.org. SamePage allows us to work together in a virtual office or collaboration space. Everyone has access to the same content, so we're all equally informed, and on the same page. That our group can't afford to upgrade to the pro version. There's only 5 limitations that I know of between the free and pro versions. The one that affects us most, and it's definitely not a show-stopper, is all users in the group can invite outsiders. In the pro version, this feature is restricted to Administrators. It's a free, open-ended trial. You can use it in perpetuity and it'll never cost you. If you have a need to create more than 25 pages of content, 5GB of storage, need to have admin groups (not teams), in-depth analytics, or very restrictive privileges, you can check out a 30-day trial of the pro version. Maybe a small business with lots of content might find the pro version valuable, but as a nonprofit org, the $10 per person, per month made it cost prohibitive for us. However, it made us look critically at what we needed, not what we wanted. It almost totally solves our communications problems with regard to collaboration. For example, prior to using SamePage, we had a listserv, a webpage, and members. This setup didn't allow members to work together and come up with new innovative solutions. The communications started with one person at the top and it was distributed to the members via email. People didn't get involved because they were being spoon-fed. SamePage re-centralized the power dynamically from an individual and gave it back to the entire group. The content that we create on SamePage is the content that is ultimately posted to the webpage. SamePage is our virtual workspace for creating the content that we need to push out to the rest of the world. We announced our virtual Open House on SamePage. Within two weeks, we almost doubled our membership. The members understood the benefits without even seeing it. To say we solved a problem--that's an understatement. "Multiple concurrent projects - no problem"
Flexible canvas to rapidly paint the picture - and keep adding adding detail as you go. Page templates give useful ideas and speed up the development of an Organisation. Rich set of sections including files and links really does get close to bring everything together on one page. I would like the Calendar component to integrate with Google etc. A little more control over section formatting would help make Organisations with lots of sections look more attractive and coherent. Use this if what you need to progress a project is in more than a few places. You're wasting time and head-space switching focus, breaking your flow unnecessarily. Get eveything together in one place and get that "mind like water" "ahhh" moment. With multiple concurrent projects to manage, it was taking me longer and longer to keep track, load the detail in to my mind when switching on to a task etc. No matter what the content type, there can be a single answer to the questions "where do I put this" and "where do I find this"? "An efficient way of controlling shared files." Efficient updating of synchronised files means my colleague and I are almost certain to deliver the final files to the client. No warning system if files are not updated. My colleague and I work remotely from each other and sometimes on very large files (graphics, complex page layouts etc.). If the files are being regularly saved, the synchronisation to the other computer can be disrupted. The result is files on one computer which appear to be the most recent (in that SamePage says synchronisation is up to date) have in fact been superseded, sometimes by 24 hours. There needs to be a warning that updating was disrupted and files may not be most recent. Keep a watchful eye if using very large files. In general, efficient joint-working on files with automated updates (apart from problem outlined above). Saves time and stress. "Sound Fitness, a personal training business in Vancouver, BC, uses this app." The application is fairly easy to adapt to a variety of uses. And I find the Samepage service staff very helpful and prompt. I would like more flexibility in synchronizing tables, more ability to sort tasks, and more granularity in regulating who can see and edit a page. I find that the community that Samepage has created, together with their service staff, are quick to add features. I would also like to see the ability to synchronize the Samepage calendar with online calendars, like Google. Samepage is an easy company to work with. I would recommend experimenting with Samepage, especially if you are running a small business. And don't be afraid to ask for new features. The staff at Samepage are prompt and quite friendly. Do not configure it without user input; let the users drive the implementation. My clients use it extensively after a couple of months. They appreciate the communication features. I am a personal trainer in Vancouver, BC, and I have clients that want to access and collaborate in their exercise programs. These programs are usually kept as Excel spreadsheets. I also have other documents (forms) that I rely on in my business. Thus, I needed a system that could store and display, and download documents. The application had to work cross platform, and on both computers and mobile devices. I love that my clients can access things over their smartphones while in the gym. I appreciate the messaging feature that makes it so easy for my clients to contact me with questions. I value the ability to synchronize my entries with my business computer and, in turn, with my business database. A huge timesaver and invaluable when in comes to accuracy. "Great tool for collaborating with different user all over the globe, good uptime and support." It gives us a platform on which we can collaborate with other users, inside and outside our organization. Communication through messenger-like tool and e-mail makes it a perfect tool. I dislike the absence of a dutch spellchecker, also I am not fond of the table function which is sometimes not as intuitive as a real table. I would recommend this software as it provides an easy way to work with and clear tool for handling all sorts of projects. This may be a anniversary, birthday or a small to medium sized event. It gives a good insight on the overall impact of your projects, also it provides a means of closing off portions of your projects. This way you can manage your projects on a "need to know" base. A good office communicator helps you in getting quick response from other users. Commenting tool is easy to handle and provides a good way in telling others about updates made. An excellent tool is the version history on documents, this provides a track history of documents used and can be very useful at times. It comes in very handy as you can use it as a kind of share point tool for sharing documents in a larger group without having the overhead provided by "real" share-point tools as e.g. Microsoft share-point. The desktop tool I would not recommend as it is very Spartan and has few extra options. "Best collaboration tool I found in the last 3 years of reserch"
The simplicity of use to get all the information we need on one page is something I really appreciate overall. Once all is setup, it is so easy to manage the information with links to Dropbox files. Once the Dropbox file is updated, the link is always sending the user to the last information available. This is the most important thing that we did consider. The possibility to copy information from one page to another is something that would be more than useful...it is a must. The need to always share to an external associate a page by sending an email, is something that takes time and can be painfull. Depending on the use of a page with any needed information to a team, you must make sure that the information that will be on the page is useful this only team. If you have several team that needs to get access to some other information, you will need to create a new page for each team separately. Could be time consuming, depending on how many team you need to get access to the pages. Communication with co-workers, from inside house and outside. The need to send by email information that is always available now on a page, with the latest update information. "What would I do without it?" Samepage is just so easy to learn, the interface designed to be a tool, not a hinderance. The roadmap they are working to seems to be focussed on what people want, not what Samepage's engineers think they want. Sometimes licensing is confusing, especially when you start to mix licensed users with external users. It would be nice to have an API we can plug in to, and finally, the ability to add a level of password protection to a page, so that you can share with users, without having to worry if they share the link, because without the password they can't get in. I've used Samepage since it was an offline product by Kerio Technologies, called Workspace. I was directly involved in the early shaping of the product, and am more than simply proud to see how it has evolved. I use it to run a film club in one instance, to store license keys for products in another, and in a third to help my work mates administer data for external sources. Being able to sync files and text, with embedded excel spreadsheets, maps and picture galleries means that it's flexibility is second to none. Sharing data with customers, not using Sharepoint. "Samepage helps me stay organized, efficient and productive." I love Samepage. It's made my workflow much easier – made communicating with my partner alot more efficient, and has reduced my dependence on email. Samepage is an intuitive platform. Drag + drop is great for sharing of documents and images. It's easy to share pages, provide feedback, and edit content. I also teach and find it really useful for course material and drafting assignments for my class. All in all, it's become a part of my daily workflow, and I find it extremely helpful to know everything I need can be logged, saved, and documented all in one place when I need it. Tables are a kind of a pain.. I love using them but when they get wider than the column, it's annoying to have to click in and see all the content. Not a super big deal but just annoying when I need to edit them repeatedly. I wish for simpler checklist modules (so a version where I'm not assigning things to anyone – I'm just making a list of to-do's for myself.) Currently feels like of a lot of steps to make a simple checklist. This is a silly designer pet peeve but the color highlights that are available for highlighting text are not readable in some of the colors. Would love to see the RGB color values being used to the max! Or custom colors maybe set in the preferences, with the ability to assign "labels" to these colors? Or something. Your yellow highlight is a mustardy bummer. Samepage is most effective if you make it a part of your routine. It makes project management really fluid and organized. Updating it each time I have a project allows me to see the full picture of what's going on with project stages, correspondence, meetings, etc. It happens to fit perfectly with my needs. My team is only two members right now. We are a design studio and we use samepage to keep track of client projects, feedback, to-do's, tasks per project, and files –– all things project management related. "Samepage supports many types of content"
Since the very beginning I got impressed with the flexibility of Samepage, which supports many types of content. From documents to audio, from spreadsheets to maps, there are plenty of ways to keep and share information. The comment function is very powerful, but it would benefit from a better organization. Perhaps showing comments of each post in separate would make it easier to use. Also, the mobile app on iPhone requires the last update, making it off limits to people with earlier iOS versions. I coordinate a small team of game research and development, whose members are in different places. Samepage allows us to gather all relevant information in a single place. "Super Innovative, makes collaborations extremely seamless." I dislike the membership issue, however not everything can be free so, we will be using everything possible on the free account in samepage until we come to require the membership plan. Give it a try, you defintely won't say it not worth the time you put in. We were initially running a page for the college leadership team, used samepage to host our agenda items, google drive documents and now I also use this for my business purposes. Samepage is very intuitive with many features and allow you to do whatever you want. You have to take the pro-version to work with Samepage, but it deserves it. "Samepage does exactly what it claims, keeps your team on the Samepage"
No more e-mail. We get more done in shorter amount of time, because the discussion is so contextually rich. I love that anyone on my team can add to a collaboration page, but I'm not always sure of the author of the comments. Team collaboration. We create pages for any project that we're collaborating on, and now we have notifications, timelines, chat, etc., all making sure that we're improving in both efficiency and efficacy. "Great functionality & Excellent support"
The fact that the solution is being continually developed, I requested a new functionality and within a week it was available! Wish it could update the team via calendar invites when setting up scheduled meetings on Samepage. Get a demo from Siros who will share their experiences and as a reseller and user of the product get you the best deal. Contact: sales@siros.com or visit our website Siros.com. Able to pull all the different streams of a project into one view - able to collaborate efficiently with the whole team and communicate ideas effectively. In two times, the client agent has become confused by having to office-like applications in the computer and it prevented me from open the files locally. "Great Collaboration Tool - Easy to Maintain"
Great WYSIWYG editing features to build pages to manage projects, documentation and task lists. Very easy to share information with people in the organization and also able to provide links to external users. We use SamePage to give quick and easy access to files and shared documentation for things like IT equipment and health and safety policies. We also use it to manage task lists. "It is phenomenal experience to work with my class group on our group projects. " I love they we can have all our information displayed on one single page and the email notifications of any activity that happens on the page helps staying up to date on any activity that occurs on the page. The new chat feature is a little complicated and I haven't gotten around to try to learn it yet but it seems a little complicated to understand. I am using Samepage to work with my classmates on school projects and it has helped us immensely to collaborate on our projects. I like the ability to have pages and assign them to department with specific users being able to contribute to them as needed, it picks up were our Zoho CRM falls short. The few dislikes I had they fix but I would love if I could add people and I had the option not to allow others to see who is part of the page. Sometimes we'd like to use the pages for customer updates. I also like to be able to embed my Samepage in my website. Mainly communication, its a simple central location for everyone to get information, our CRM doesnt do this. I love how easy this product is to use! I was shown the product and I ran with it in developing our Employee Portal. It is very user friendly and I would recommend this to everyone, as every department can benefit from it in some way or another. We even presented the product to a group of HR professionals, as a way to share information with employees and everyone was extremely impressed. By utilizing Samepage, we were able to develop a company wide Employee Portal. The pages that were developed, serve as a one-stop-shop for employees, where they can access practically anything they need. Sending communications to employees has never been easier! Super short learning curve PLUS flexible, intuitive platform for collaboration. Wish it had more workflow features to automate projects, but that is not it core purpose. Definitely worth looking into. You will be amazed how easy it is for non-technical staff to build web content and share info. Great value proposition. 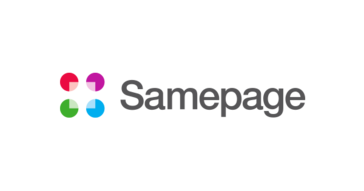 Samepage provides a flexible and secure collaboration platform for our team to work with external clients. Increased the speed and ease of gathering data and sharing information and comments. I love that it is easy to use for employees of all levels. That you cannot easily delete a calendar event. Works great for internal communications and provides training for those who struggle to use a computer. I like specifically how easy is to use and intuitive the UI is. People in my team started to use it right away as a sign that when a tool really improve productivity gets adoption fast! Nothing in particular. I think the area of improvements are in the document syncing and concurrent access to edit document. Generally I like the fact that it's a "poor man's SharePoint" although it seems better than SharePoint. I also really dig that there is a mobile app for it. Some of my business partners have found it hard to use but I think that might be them (collaborate software works for some people but not there) and their lack of use. It needs moderation as it can quickly grow out of control. I often can't remember where I put things and have to rely on the ever so handy search function ("my friend" on samepage). We need a way to centralise our thoughts and activities. Basically we need a collaborative solution (we don't have an office and we are not that near each other). Right now we are coming out of startup phase but I reckon we'll continue using samepage indefinitely. "Samepage is excellent for collaborating projects. " I like the fact that Samepage allows documents to be worked on simultaneously by multiple users. Samepage makes what would otherwise be a difficult process simple. It also allows users to assign tasks to their team members, which helps to track the work the has been completed on the project. There is very little that I dislike about Samepage. I think that improvements can with the sharing feature. The sharing feature only allows users to add all users or users individually to a page. I think that there should be a feature that allows users to add users to a page in bulk. Perhaps a checkbox by user names would be the easiest way. Review the user video so that you know the full benefit of the product. One of the problems that I have with my team is often time several people need to work on a document at one time. Samepage allows documents to be worked on simultaneously by multiple users. "Samepage has made my life much easier." I use Samepage for my home life, my firefighting career, and my teaching job. I enjoy being able to access my content from any device or computer. In the fire service members of a work group are often separated by shift or station. Same page allows for all of us to stay connected and up to date by creating a online workspace for all of us to post our work or comment on a coworkers contributions. I also use same page's calendar function to coordinate with my wife and balance my two careers with family time and her job. The software also works as a cloud which I use to store my lectures on. Overall this is great software. There isn't much that I dislike about same page. It would be nice if we could have a video chat function tied into the program. Try out the free version, and experiment. You would be surprised what you can do with this software. This has allowed me to store all of my information in one place and in a highly organized fashion. Two jobs, a family life, a group vacation, or 60th birthday party are all planned and coordinated with an issue in one spot. I no longer spend hours searching through emails or flipping back and forth between Facebook, Google, outlook, and other programs to find the information that I need. "So versatile and so useful! " It was easy to learn, and it's easy to collaborate with people I decide to share with. I like that everything I need is on the "same page". Increased my productivity and made me less reliant on email. Nothing! I honestly cannot think of anything I dislike about this product. I needed an easier way to access my projects. I love the ability to upload all kinds of documents and file types. We work very closely with our Google drive and being able to attached Google docs and sheets directly from there has been a huge plus. Actually, I'm not sure we would use Samepage without that integration. I don't like that we can't archive pages to get rid of closed issues. We improvised by retitling the page with "CLOSED" in front of the real title, but that seems kinda silly to have to do that. Samepage has saved us a TON of emails going back and forth with multiple people. It is easy for anyone in the discussion now to catch up and re-read any comments thus far without digging through their email trash. So, without sounding cliche, it really does keep everyone on the same page and well-informed. The name is perfect. "Effective Collaboration and document management tool"
The most user-friendly collaboration tool I have researched and now use. Very clear main page. Easy to invite external client. "In the middle of a crisis someone told me to use SAMEPAGE"
I didn't want to learn yet another file share mechanism. The process required no learning. It could not have been more intuitive or faster. Well designed and was an awesome help. I did not run into anything that I disliked. We needed to get some damaged files to a technician. It was the fastest and easiest tool I've used to date. "Good to get everything on the SAME PAGE so the team can be in sync"
Good to get everything on the SAME PAGE so the team can be in sync for the project. Build clear structure for your own use case before starting to create pages. It's the best system to use to keep my team moving smoothly. So far, I haven't found anything I don't like about it. It has completely solved the problem of having holes in our communication. My whole team is in constant contact and our projects are being completed in record time. "Samepage as a Project Management Tool"
The ability for our team to get an instant update on all projects and jobs with tasks and events quickly. Currently there is no integration to our Kerio Connect mailserver, which I believe they are working on, but that would close the gap to total collaboration. We use Samepage as a project management tool. From early sales processes through ordering product to delivering and integration, and finally to billing when the project is closed. We are able to track every step of the project so nothing gets missed! All the documents can be saved in one place. Comments can be made on each document allowing easy reference. Reduced reliance on email. That I am not able to stop receiving email alerts for specific pages but only am able to choose between receiving emails for everything or nothing at all. we are using to connect between different team member, we share documents, keynotes, checkpoints. The collaboration piece is amazing! Being able to have all team members access the same information is such an important part of our company workflow. There are glitches... But that's with any software and it's improved as we have used it more. The versatility that the site offers to be able to collaborate, from chat, to file sharing, and even the ability present HTML and links is fantastic. The menu to add new sections to the pages is confusing at first. give it a chance and play around with it. It is very versatile and easy to understand. the ability to collaborate across country, and different time zones. The ability to all work at separate times but still accomplish our goals. I love that you can add comments and let your coworkers know what tasks you've completed and what else needs to be done! That's such a great feature. I also love how simple same page is to navigate! User friendliness is key! I'm not the biggest fan of the font. I wish it was comic sans. Team communication is key for our company, so being able to receive emails from my coworkers about new updates has been great! It is so convenient to have a place to store all our teams information for easy access even when on the go. I also love that we can all add to the pages and send messages to alert each other easily of updates. Having information readily available when clients have questions or when working on the go. * We monitor all Samepage reviews to prevent fraudulent reviews and keep review quality high. We do not post reviews by company employees or direct competitors. Validated reviews require the user to submit a screenshot of the product containing their user ID, in order to verify a user is an actual user of the product. Hi there! Are you looking to implement a solution like Samepage?